The design of a modern carriage house, pool and landscaping to compliment a recently constructed prefabricated modern home. The carriage house will have a garage and wood shop on the ground floor with a two bedroom guest suite above. A bridge connecting the two units creates a new, more fluid entrance into the main house while creating a pleasant outdoor separation and vista. The great room has a sloped ceiling and large glazed areas calibrated for natural light and views. Construction Documents which included structural drawings were prepared for selection of a contractor using the competitive bid process. 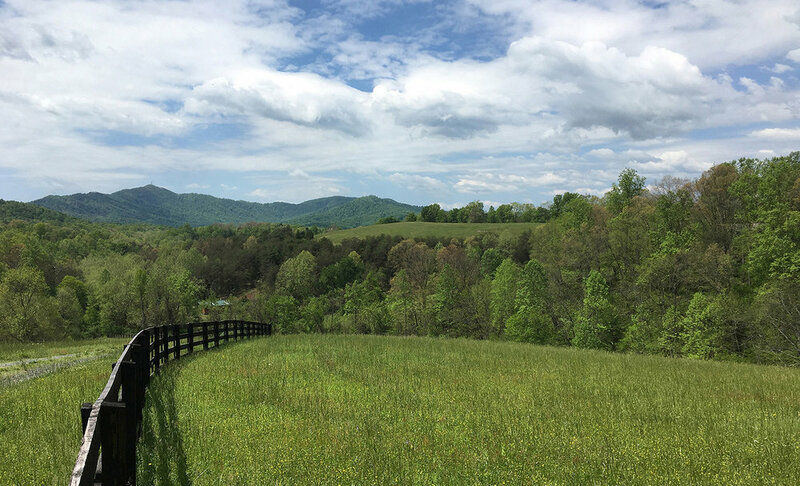 ROLLING FIELDS OF HOUSE SITE NEAR ROCKFISH RIVER, NELSON COUNTY, VIRGINIA. THE UNIT AT RIGHT IS EXISTING, THE UNIT AT LEFT, THE POOL AND ALL LANDSCAPING ARE PROPOSED. VIEW OVER THE POOL TO THE PROPOSED CARRIAGE HOUSE. 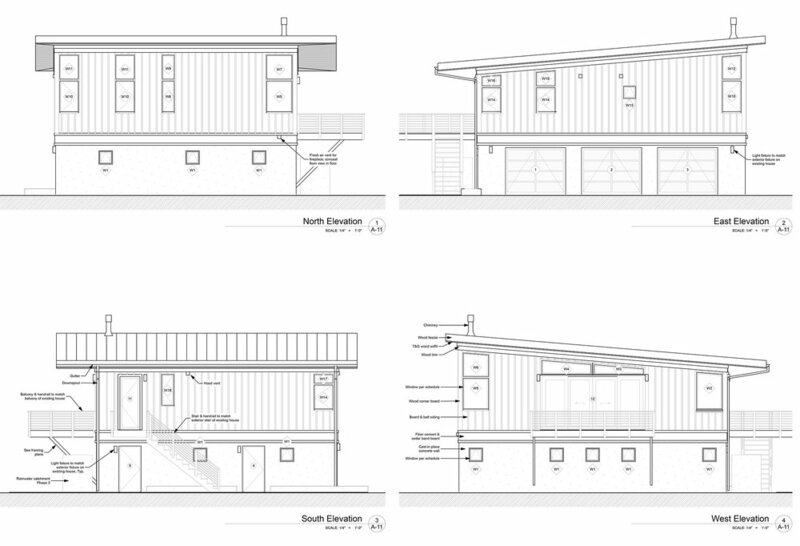 SECTION: GARAGE BELOW, GUEST SUITE ABOVE.